It’s not yet understood what exactly causes cataracts. Scientists do know that other risk factors for cataracts are diabetes, steroid intake, smoking, and exposure to the sun’s UV rays (particularly in places near the equator, such as Hawaii). A cataract is a clouding up of the clear lens of the eye or the surrounding membrane. The cloudiness keeps light from entering the eye properly, reducing vision. A cataract can be classified by its location in the eye, or by its size and shape, or by the point in time when it developed. Dr. Alan Faulkner can tell you more about the particular details of your cataracts. What Can Be Done For My Cataracts? Traditional cataract surgery is one of the most common and routinely performed vision correction procedures at Aloha Laser Vision. Standard cataract surgery involves removal of the clouded lens using precise surgical instrumentation and ultrasonic technology. 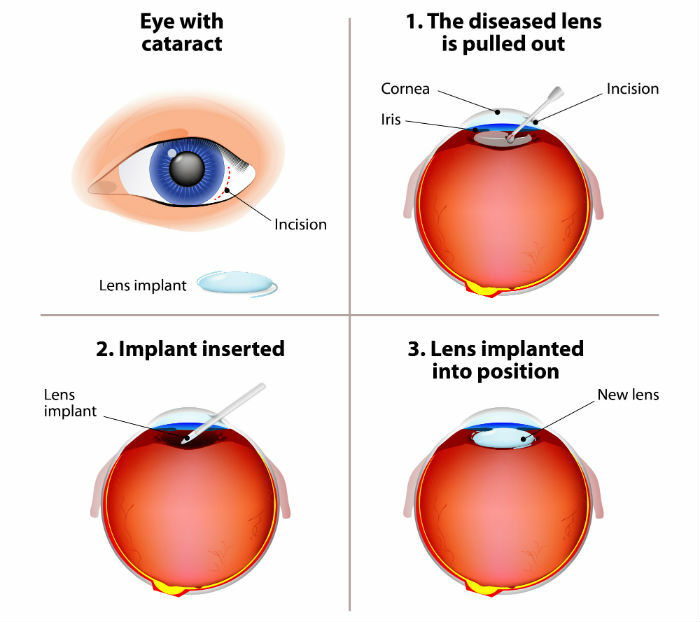 Once your surgeon is able to remove the cataract completely, an intraocular lens is implanted in place of the old lens. 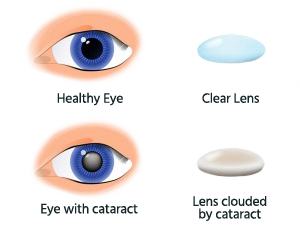 The type of IOL placed will depend upon your unique vision correction needs, lifestyle and the recommendation of your surgeon. Cataract surgery performed with all-laser technology provides for enhanced customization, efficiency, and precision of the procedure. During laser cataract surgery, your surgeon utilizes state of the art laser technology that is custom-programmed to perform the procedure in a way that suits the unique characteristics of your eyes. There are no blades or manual instrumentation used to accomplish cataract removal – incisions to remove the cataract are made using the LenSx® Femtosecond Laser. In addition to making precise incisions, the LenSx® uses laser energy to safely dissolve the cataract for smooth and complete removal from the eye. Whether you undergo traditional cataract surgery or laser cataract surgery, an intraocular lens (IOL) will likely be used to replace the cataractous natural lens removed during surgery. Great improvements have been made to IOL technology over the decades since its inception. There are now lots of IOL options that can make cataract surgery a refractive procedure as well. The early IOLs were monofocal – that is, they provided only good distance vision. Nowadays, IOLs that are multifocal can provide a fuller range of vision. Certain IOLs also offer correction for astigmatism. Patients should also aware they have the option of choosing monovision, which corrects one eye with an IOL focused for distance vision and the other with an IOL focused for close vision. Dr. Faulkner will help you find the right IOL or IOLs for your needs and lifestyle. Advanced technology IOLs such as the AcrySof® ReSTOR® IOL, Tecnis® MF IOL, and Tecnis® Symfony IOL are examples of the state-of-the-art options available at Aloha Laser Vision. These IOLs enable patients to see at a wider range of distances and may have the potential to reduce dependence on glasses. 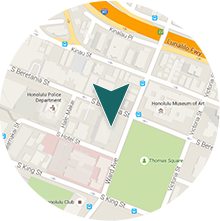 Cataract treatment at our Honolulu, Hawaii offices is designed to maximize your comfort and safety. A comprehensive eye exam is the first step. All parameters of your vision are measured, with and without the corrective lenses you’ve been using. You will undergo a review of your health history, including information about your current medications, previous eye treatments and prescriptions, and any evidence of allergies. As part of the exam, your eyes will be dilated to help detect any sign of disease. Dr. Faulkner will determine whether cataract surgery with an IOL is right for you. If cataract surgery will be performed, sonar measurements of your eye will be taken, and tests will be conducted to determine the power of the IOL needed. Once the measurements and results of the exam are available, Dr. Faulkner will discuss your treatment options with you, as well as any possible complications involved. All of your questions will be addressed with patience and expertise. Finally, one of our experienced surgical counselors will go over your pre-operative and post-operative care and instructions with you. If one of the advanced technology lenses is your treatment plan, our refractive surgery counselor will also discuss your pricing and payment options. The cataract surgery itself takes only about 10 minutes; it’s a “same-day surgery.” First, for almost all of our patients, the eye is anesthetized with anesthetic drops or gel (it’s extremely rare for an anesthetic shot to be appropriate). Two very small incisions must be made to position some precision instruments. The cloudy cataract lens is then broken down into tiny fragments by ultrasonic waves (not a laser!) delivered by a small probe. The fragments of the old lens are removed through a tiny, self-sealing incision, and a new IOL is implanted. Some eye drops to prevent infection and reduce inflammation are then put in the eye, completing the procedure. Patients can return to their normal activities within 24 hours. The advanced technology IOLs are used with the same safe, proven cataract surgery performed on more than seven million eyes each year. Current studies indicate that 98 percent of people who undergo cataract surgery have no complications. Significant complications are extremely rare. Most of the complications seen are minor infections, irritation, and inflammation—all easily treated. One type of complication, called posterior capsule opacity (PCO), is considered to be fairly common (affecting approximately 20% of cataract surgery patients) and can be effectively corrected using a YAG laser. This treatment is called a YAG laser capsulotomy. At Aloha Laser Vision we are able to perform the YAG laser capsulotomy evaluation and treatment on the same day for your convenience. YAG laser capsulotomy is known to cause no discomfort either during or after treatment, and application of the laser typically takes only a few minutes to complete. 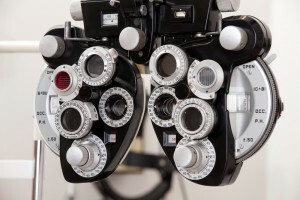 Most patients report that their vision improves within 24 hours. Though cataracts can severely impair your vision, Dr Alan Faulkner offers a number of options for cataract removal and lens replacement. He can help determine which treatment is most effective for you. For more information about cataracts and cataract surgery, contact Aloha Laser Vision in Honolulu, Hawaii. Is cataract surgery the only way to treat my cataracts? A: Once cataracts have begun to form in the eyes, surgery is the only method for removing them. Some studies show that more daily vitamin C may slow the development of cataracts, but you may want to discuss changing your vitamin intake with a doctor before proceeding. A: Before cataract surgery begins, a topical anesthetic is used to thoroughly numb the eye and reduce the potential for discomfort. Typically, patients report minimal, if any, unpleasant sensations during the procedure. 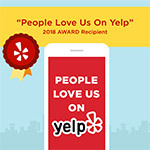 The comfort of our patients is one of our top priorities, and we always strive to provide the best possible experience. Am I too old for cataract surgery? A: There is no age limit for cataract surgery, especially with today’s advanced technology. As long as you meet the criteria for candidacy, we can perform the procedure. Will I be asleep during cataract surgery? A: As is the case with LASIK, you will be awake throughout the relatively swift cataract surgery procedure. With cataract surgery there is no need for general anesthesia, which cuts down on health and safety risks associated with deep sedation and makes the procedure more accessible to a wider range of individuals. Before surgery, your eye will be numbed with a topical anesthetic to prevent discomfort. The state-of-the-art surgical technology we have at Aloha Laser Vision works quickly and precisely to help the process run as smoothly as possible. A: Your degree of reliance upon glasses after surgery will depend on the type of IOL you have implanted. Standard IOLs correct distance vision, so reading glasses are usually required for near vision; however, more advanced multifocal IOLs can correct vision at a wider range of distances. Before surgery, your doctor will explain your options and the kind of results you may be able to expect from each. Are there risks associated with cataract surgery? A: Though generally a very reliable and safe procedure, cataract surgery has the potential for certain risks and complications. Your surgeon will discuss all of these risks with you in-depth during your consultation. Complications are rare, but can be easily treated. 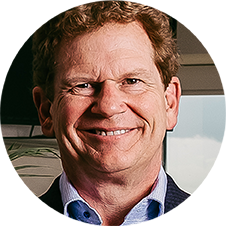 Dr. Faulkner is extensively trained and experienced in cataract surgery and utilizes advanced techniques to improve safety and the quality of results. He reminds patients that following all pre- and post-operative instructions and attending follow-up appointments is important for minimizing the occurrence of these risks. Most of the complications we see are minor infections, irritation, and/or inflammation, which can all be easily resolved with appropriate treatment. Which IOL should I choose? A: Matching patients with the right IOL for their lifestyle, vision needs, and budget is an important part of the cataract surgery process. Your surgeon will help you decide on the best IOL for you. We offer a wide selection of the most advanced IOLs at Aloha Laser Vision and we enjoy providing our patients with the best vision possible. If you are interested in learning more about cataract surgery, or if you want to schedule a consultation with Dr. Faulkner, we encourage you to contact Aloha Laser Vision.